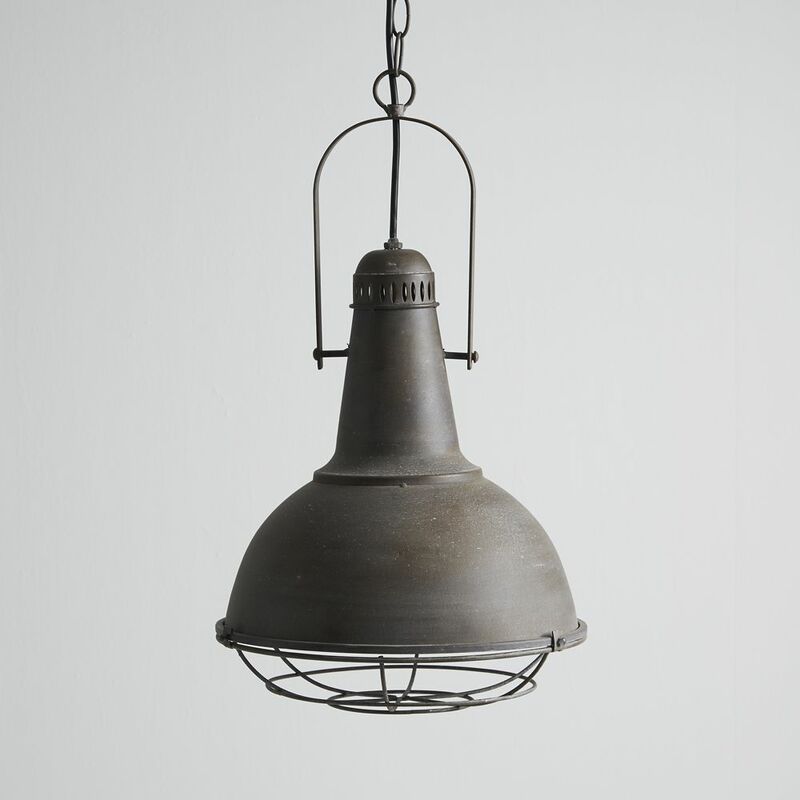 This stunning industrial pendant light looks fantastic lit or unlit! It's a classic design, often seen in factories, offices, stations and industrial units in the mid-20th century and makes a real statement. It's made from aluminium and given an antique finish in the grey/brown shown, with a soft white finish on the inside for a nice, crisp light. 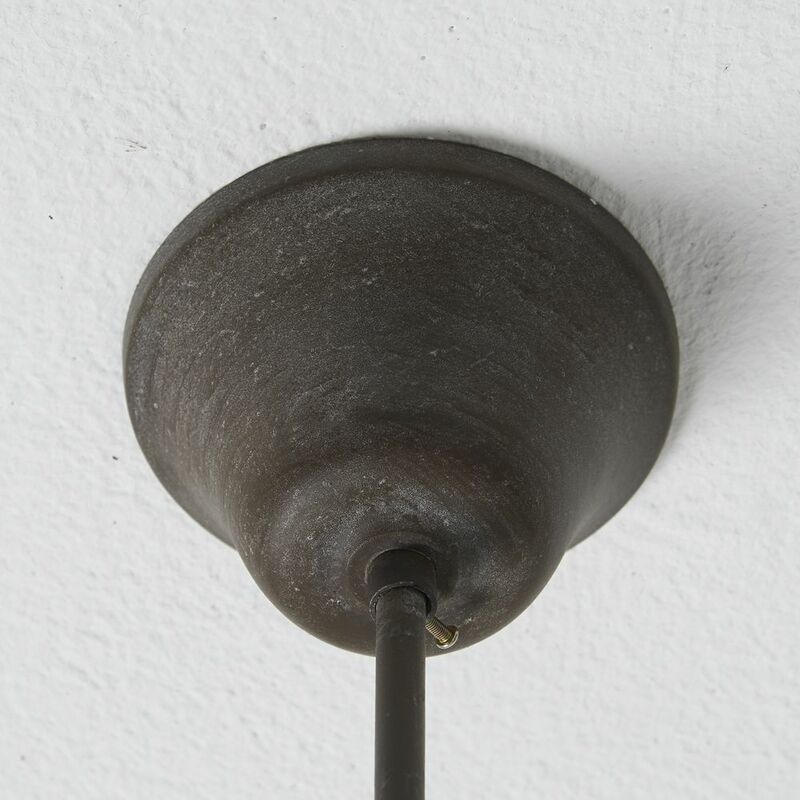 It comes with approximately 100cm of black flex and metal chain that can both be shortened to any length and a matching grey/brown aluminium ceiling rose. Ideal in kitchens, dining rooms or living rooms, they look great on their own and also in 2s or 3s.